As many of you are aware, one of my favorite aspects of this summer has been our CSA! We joined up in the winter, not knowing what to expect. The results have been fantastic and I’m loving finding new ways to incorporate the fresh produce into our daily routine! It’s been a fun adventure that I cannot wait to repeat! Last week’s box included fresh peaches and right away, I knew what I wanted to do. It took a couple of days to actually get around to it (have I mentioned things have been a little crazy here!) but, last night it finally happened. 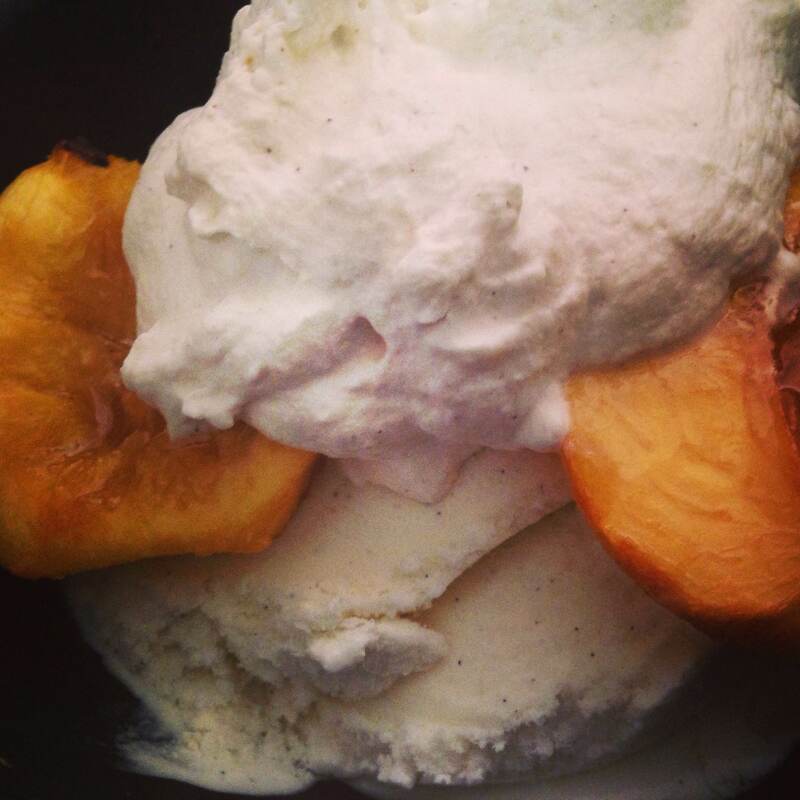 The end result was fantastic and eagerly approved by the whole family: Honey Grilled Peaches with Cinnamon Brown Sugar Whipped Topping. Want to repeat it? I’m adding the directions for oven roasting (easier with our schedule), but this could easily be completed on the grill. Totally your choice, just take my advice and jump on it today! In the meantime, combine cream, brown sugar and cinnamon. Whisk with an electric blender on medium-high speed until stiff peaks begin to form. This can be prepared in advance and stored in the refrigerator. It’s that easy. Again – crowd pleaser. Give it a go today!